Lots of clients have been asking if I will be making my chunky, fun wood jewellery pieces that are always so popular. Of course!! I am working on a chunky, fun, lighter-weight winter collection made from cords, leathers, wood and acrylic which can still be dressed up or down but will look great on winter jumpers and dresses. 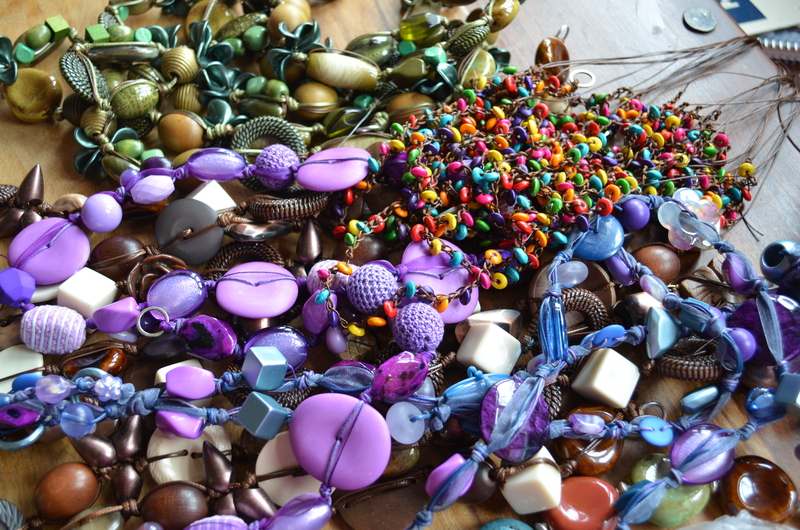 There will be lots of bright colours as wells as some multi-coloured pieces which will work for a variety of outfits. If, like me, you are a little afraid of colour, then these are ideal to add a splash colour to your outfits. Keep a look out on the site and facebook for availability, and these will also be stocked in Capsule Boutique in St Neots.